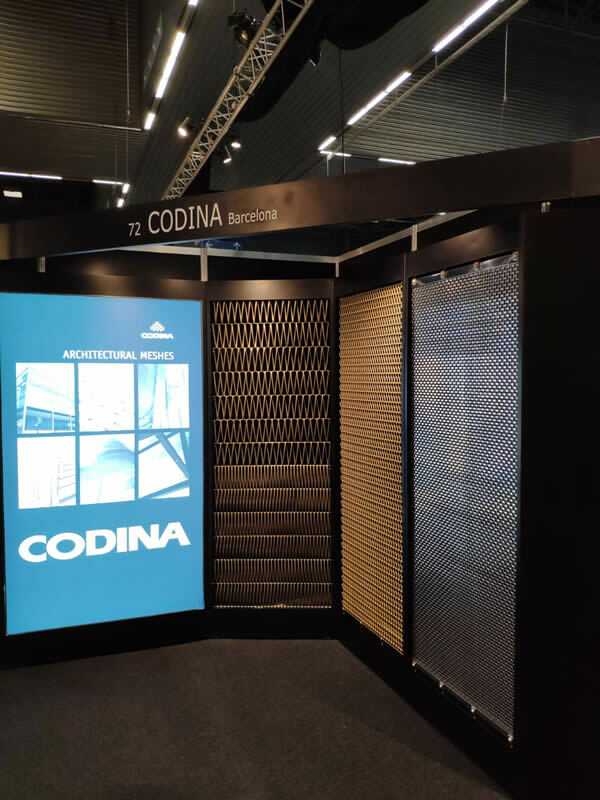 Codina Architectural will be present at the next Architect@Work Bilbao Fair that will be held on February 20 and 21, 2019. Architect@Work Bilbao is a reference fair of international level that exclusively welcomes architects, interior designers, manufacturers and distributors. The Fair will present more than 500 innovative techniques and products whose exhibition will be carried out by exclusive manufacturers and distributors. Codina will present in Architect @ Work Bilbao its new products in architectural meshes. 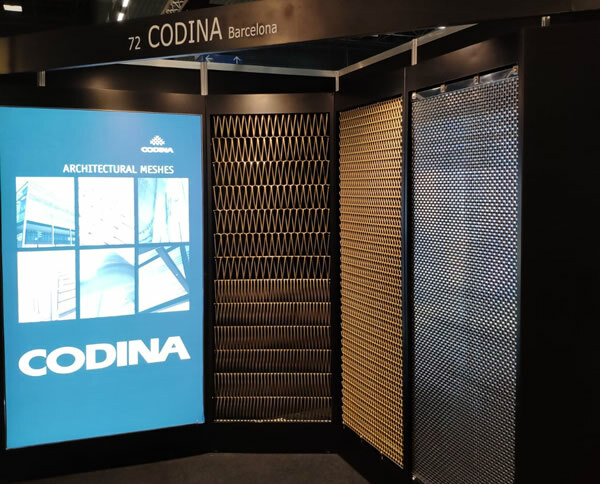 The architecture sector occupies a very prominent place in the Codina`s production, so we encourage general public and customers to visit us at our stand. If there is something that particularly characterizes the Architect @ Work Bilbao fair, it is its innovative concept of spaces dedicated to exhibitors and visitors. The distribution and placement of elements in Architect @ Work Bilbao is different from traditional fairs. The space of the fair is divided into small modular units in which the exhibitors present their novelties in a creative and aesthetic way. The contact between the public and the exhibitors is carried out along a route that surrounds these small modular units, so that the initial contact takes place directly in the stands. In Architect @ Work Bilbao the corridors that we find in other fairs are here rest areas: places to relax and talk about products, applications or services. The Architect@Work Bilbao fair will also have rooms and a free catering service, which facilitates meetings between professionals. Architect@Work Bilbao: who is it for? Exterior finishes: cabinetry, facades and exterior cladding, insulation, water and air tightness, roof construction, load structures, roof coverings, drainage systems and rainwater. Techniques: Fixed lighting, sanitary, heating, air conditioning, electricity and controls, plumbing, renewable energies. • Hours: From 1:00 p.m. to 8:00 p.m.
• Price: 100 EUR or free in the case of pre-registration through the website with the personal password received from an exhibitor or the organization. • Catering: continuous and free, snacks in the living room and the corridors.